Edina, Minn. – May 22, 2018 – Baird, an international, employee-owned wealth management, capital markets, private equity and asset management firm, announced today that it has added The McCrea Burns Group. The team is led by veteran Financial Advisors Robert K. (Dobbin) McCrea, Jr, Director, and Cassidy M. Burns, CFP®, Vice President. They are joined by Associate Financial Advisor and PWM Portfolio Specialist Kevin A. Rollwagen. The team will work from Baird’s Edina wealth management office located at 7650 Edinborough Way, Suite 300. 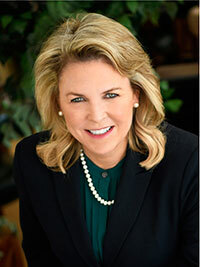 McCrea brings 25 years of industry experience to Baird. Prior to joining Baird, he served as a financial advisor for Morgan Stanley. He graduated from Colorado College with a bachelor’s degree in political economy. McCrea and his family actively volunteer at the Ronald McDonald House and Feed My Starving Children. McCrea currently resides in Wayzata with his wife and four children. Burns joins Baird with 25 years of industry experience. Previously, Burns served as a client relationship manager at Riverbridge Partners LLC. She graduated with a bachelor’s degree from St. Lawrence University. Active in the community, Burns serves on the board of the Abbott Northwestern Hospital Foundation, the Board of Vocalessence and the Investment Committee for St. Martins-by-the-Lake Church. Burns currently resides in Wayzata with her husband and three children. Baird is an employee-owned, international wealth management, capital markets, private equity and asset management firm with offices in the United States, Europe and Asia. Established in 1919, Baird has approximately 3,500 associates serving the needs of individual, corporate, institutional and municipal clients. Baird has more than $203 billion in client assets as of Dec. 31, 2017. Committed to being a great place to work, Baird ranked No. 12 on FORTUNE’s 100 Best Companies to Work For in 2018 – its 15th consecutive year on the list. Baird is the marketing name of Baird Financial Group. 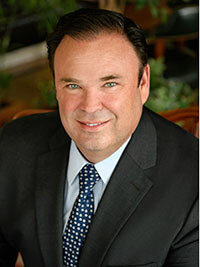 Baird’s principal operating subsidiaries are Robert W. Baird & Co. Incorporated in the United States and Robert W. Baird Group Ltd. in Europe. Baird also has an operating subsidiary in Asia supporting Baird’s investment banking and private equity operations. For more information, please visit Baird’s Web site at www.rwbaird.com. Robert K. (Dobbin) McCrea, Jr.